They make it possible to install air/watertight compression cable glands, for perfect seal. 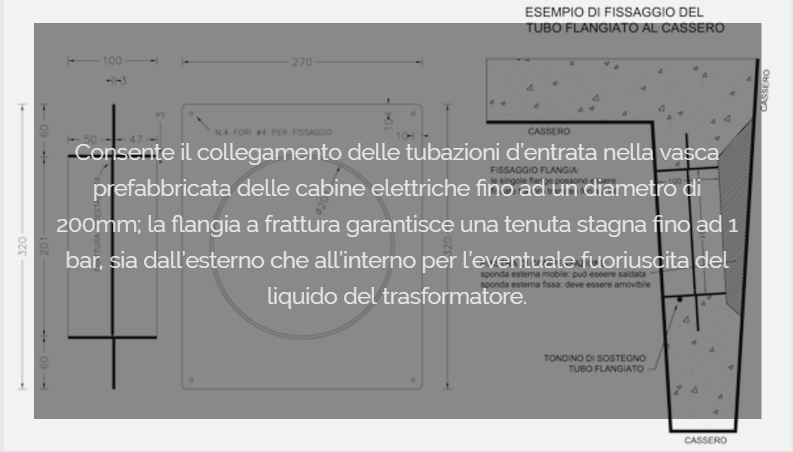 The side ﬁns accompany the different thermal dilation between the concrete and the polyethylene in order to prevent the formation of microscopic cracks through which external and internal liquids can seep into the prefabricated tank. Obtained from injection-moulded high-density polyethylene, it features excellent stiffness, hardness and resistance to distortion and collision.